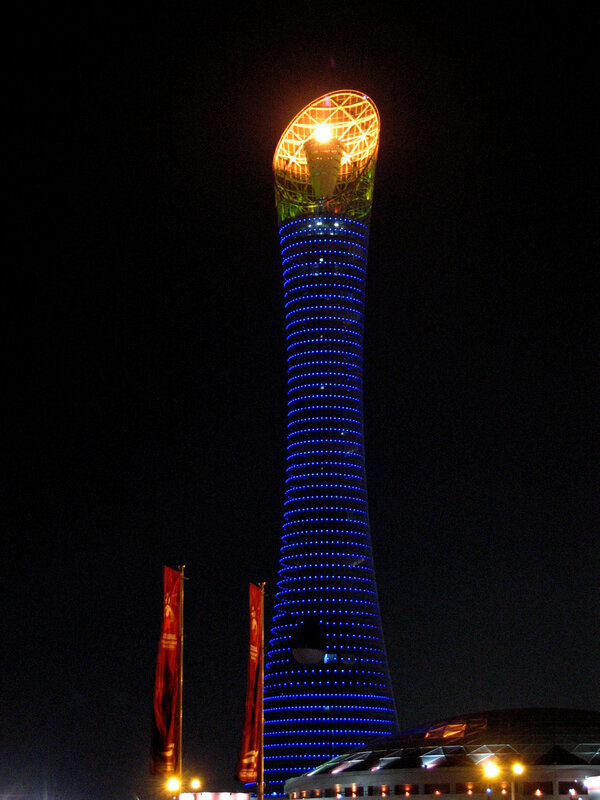 Aspire Tower is a national icon for Qatar, the tallest building in the country, and is specifically associated with the ASPIRE Academy for Sports Excellence in the Middle East. The building was to be completed within fifteen months for the Asian Games of 2006, and thereafter a focus for events in the sports complex and national celebrations. The lighting had to be very flexible, allowing the tower to convey moods and dynamics relating to specific events. Specific challenges included the vast height of the building (300 metres); the requirement for visibility at a considerable distance from the tower; luminaire integration with the mesh façade; climatic conditions; and the very tight timescale. KSLD’s early practical approach allowed the design to develop rapidly to enable equipment orders to be placed. 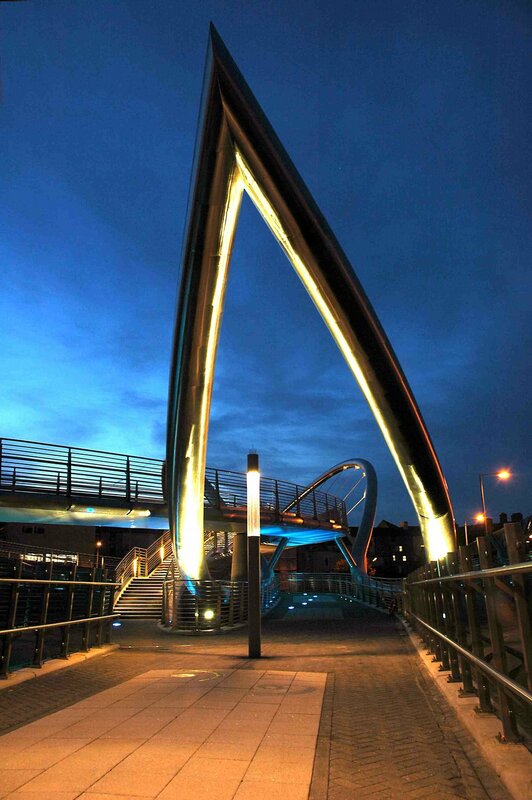 Essentially the system consists of 3,800 individually addressable custom LED fittings designed in conjunction with the manufacturer to provide a high-visibility colour-changing node. These are controlled using a vast DMX system programmed through ColourTramp software specially adapted for this project - this was the largest network this system had been installed on at the time. To address thermal protection of the LEDs, the output is reduced when the temperature on the board reaches critical thresholds, rather than have the unit switch off so that the integrity of the display is maintained albeit at reduced output. One of the effects KSLD wished to create was a strobe-like sparkle. This was achieved by overdriving the LEDs with time-limiting operation to achieve the brightest output possible without causing component damage. These aspects were achieved using custom electronic LED drivers. The tower was operational for the Asian Games and ran special programmes synchronised with the opening and closing ceremonies. It was visible from across Doha. 2007 saw additional lighting added to the top of the tower, a water-mist flame effect, and searchlights to complete KSLD’s initial design.